Click on a desired topic to access. 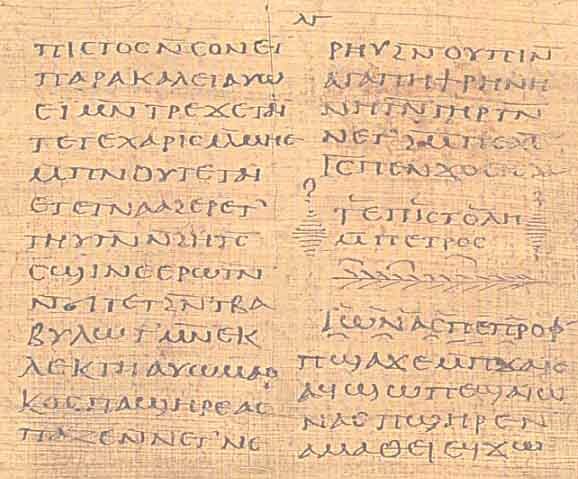 Joesph Warren Wells' Coptic NT texts. In beautiful PDF formats, using Mr. Dykes' fonts. Both Sahidic and Bohairic. Source database used via Mr. Wells' kind permission. Free download. To download Coptic NT texts you can edit, or create an apparatus for, scroll down below, s.v. "The Wells Package". Click to be transported to a HTML page showing numerous samples of Coptic manuscripts. Mit thumbnails. Click to read important information about Joseph W. Wells' Coptic NT texts, and reviews of same. A nice concise read on the history of decipherment of the ancient Egyptian language. author: Dr. Albert Gessman (1976). A very basic and sound demonstration of the date of the origin of the Coptic script. Good argument! It is not hinted which can improve on-screen viewing! A read_me file is in the Wells package, and in the larger Fonts_44.zip package. If you want to add an apparatus to Wells' Coptic NT's, then these files will allow you to build such a file. They are the Wells' texts, in Word 2000 format! The Sahidic is also presented in a FrameMaker 6 format. Add an apparatus, or alter in any way! Special fonts included (seen in the above edition by Mr. Dykes, a PDF file). A Coptic_readme.pdf file is included, which clarifies some issues, and adds information about the new Copt_44a.ttf font. To control who uses this material the zipped file is encrypted, you must email Mr. Dykes to receive the password. galeandgary2000ATgmail.com (replace the AT with the "@" symbol) - updated Dec. 2015. Some History and Observations Concerning the Value of the Packard Humanities Institute (PHI) CD version of the Sahidic NT. Also a warning concerning the - St. Shenouda the Archimandrite Coptic Society's CD - also of Thompsons text. FONT PACKAGE (file name is (FONTS_44.zip) contains the new Copt_44a.ttf and its read me file. It contains glyphs for writing all dialects of Coptic (Sahidic, Bohairic, Fayumic et al). It also contains glyphs for writing Old Coptic! Thus it is a very unique font! It does not mimic the absurd styles of older printed Coptic fonts (as seen in Well's printed editions of his "Sahidica"). The fonts supplied with my "WELLS PACKAGE", "W_Boh44.ttf" and "W_Sah44.ttf" have matching glyphs (though not nearly as complete as this font is). The fonts truly reflects a neat Coptic hand. Each glyph is readable, not easily confused with other glyphs. Being readable, the font is a joy to view. it has nice letter spacing so that the words are not cramped together. It does not contain the printed style of upper case glyphs (though a few upper case forms are included). It does contain several alternate forms for the discriminating writer. 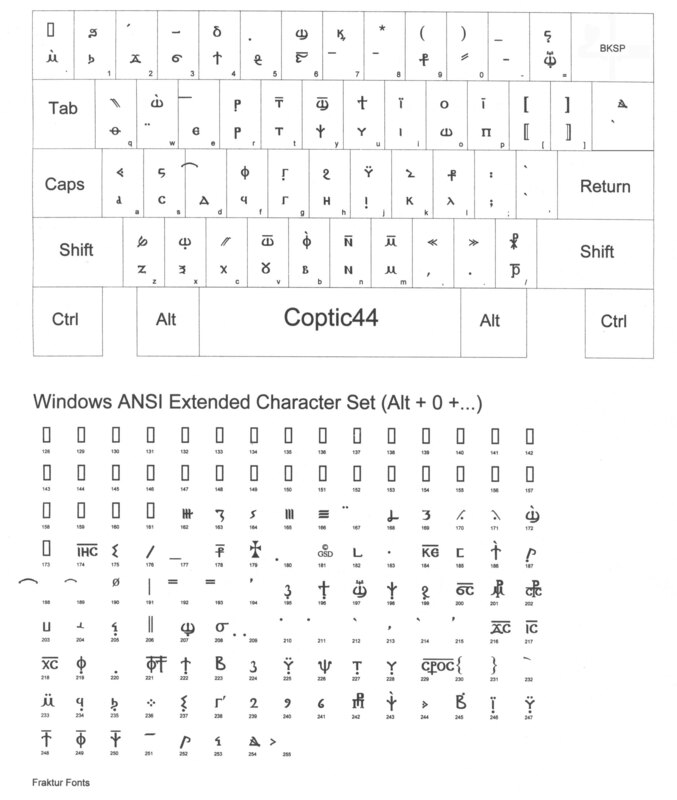 The new Copt_44a.ttf - font has the same layout, but several keys are input differently, which corrects on-screen viewing on some computers, and its print quality. 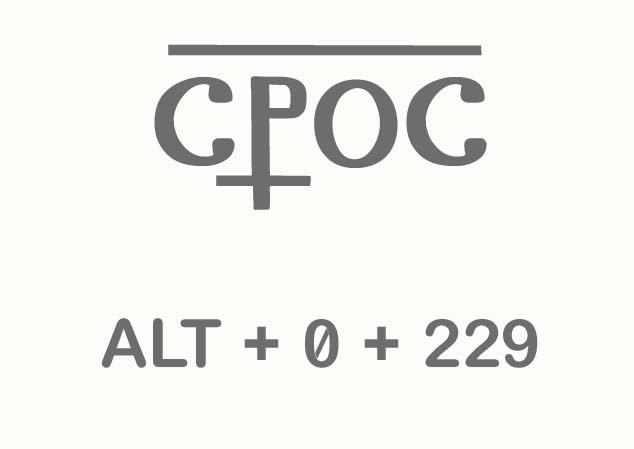 The new Copt_44a.ttf, also is NOT hinted, which also improves its on sceeen appearance, on most monitors. A read me file (PDF) is included in the Wells package, and FONTS_44.zip package. As you can see, the input from this one key produces a complete abbreviation form, complete with the supralinear stroke. When I use my fonts, over time I usually memorize the various input keys, and I always print out the complete set for reference. Unlike the bulky UNICODE fonts, this True Type font contains special "expert" glyphs. Consequently it is a very valuable font for those who input Coptic text, or who need a complete Coptic font. It is designed to complement my other fonts as to its size and spacing. It works real well with my Greek44 font as well as the other 20 fonts. In the font package are also fonts for showing nearly ANY type of apparatus marks or symbols. Below are a few more samples from this Coptic44.ttf font. COPTIC KEYBOARD it is about a quarter of 1 megabyte in size. The new Copt_44a.ttf keyboard matches this one from Coptic44.ttf, but several characters are input differently.